every single time i use my iphone hot spot to listen to RNRH (since i have no home-based internet provider) the program stops at about 10-15 min and will not start again. how come? You spoke at length about fraud against the government. Please indicate where I can find the facts and figures you quoted. 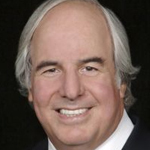 Frank Abagnale’s position is sort of alternate to Richard Stallman’s view on effective regulation/control, isn’t it? Thank you, Ralph Nader Radio Hour!!!!!! This was fantastic!! Thank you Ralph & Frank! Ralph Nader sure would have made a great President. This was a great hour. Thanks! show was excellent. great information!